We don’t need to tell you how important customer service is to your business. We all depend on healthy customer relationships, and delivering exceptional service is one of the safest ways to ensure continued success. At Absent Answer, we help companies provide top notch telephone customer service without drastically increasing their costs. Good customer service is all about delivering a great customer experience at every opportunity. Your basic goal should be to make customers feel welcome during their transactions with your brand. The phone offers the rare opportunity to let customers know that you’re glad to talk to them. Through this channel, customers can hear agents smile. They can deduce this from your tone of voice and enthusiasm. Some may think this is such a small thing, but this can help you become friends with customers. By partnering with Absent Answer to deliver your telephone customer support, you are ensuring there will always be a friendly, responsive professional available and ready to take calls on behalf of your business. As a U.S. based customer service call center located in Jacksonville, Florida, all of our calls are handled domestically. We never outsource your calls overseas. Outsourcing doesn’t mean sacrificing. By strategically outsourcing telephone customer service responsibilities to a professional call center like Absent Answer, you are partnering with specialists who have more than 30 years experience delivering live answering services and call center solutions to businesses nationwide. That expertise is put to good use supporting your customers and helping your organization set and maintain a high bar for customer service. Third party customer service can feel like a risk, handing off customer interactions to an outside company, but Absent Answer has a proven formula that allows us to consistently outperform our peers in the call center industry, delivering superior customer support services at a fraction of traditional operating costs. Better yet, we’re able to do it without sending your calls offshore or taking shortcuts that negatively impact your brand. Instead of settling for offshore call center solutions or, worse yet, failing to establish a contact center that meets the communication needs of your stakeholders, Absent Answer can deploy a team of call center agents who are trained to answer customer support calls for your business. Customer service outsourcing allows you to focus on operations and what you do best, not manning the phones and managing call center operations. Our 24 hour customer support call center is available 365 days a year to answer calls in the name of your company and handle inbound communication as an extension of your business. Why use Absent Answer to deliver customer support? Let’s explore some of the top benefits. Our call center never closes. As your customer service partner, that means you never have to close, either. We can take calls in the name of your business 24 hours a day. Whenever you need us, we’re there to assist. With Absent Answer, you can extend your office hours and remain accessible to your customers. Every call to your business is important, from customer service requests to sales inquiries. Each telephone interaction with your company is an opportunity to improve or degrade a valuable relationship. By using our highly trained customer service staff to manage your customer support needs, you gain a skilled team of professionals who will treat each and every call like it’s important. Establishing your own customer service operation would be a major undertaking. After all of the logistics and technology costs are out of the way, you have fixed staffing costs for employees that may not be fully utilized. Plus, if you need more staff, it means more training costs and increased overhead. Our call center pricing is far more cost effective, based on the amount of time that’s actually spent handling your calls. We can scale up or down quickly based on your call volume. We work as an extension of your business. Our customer service agents are trained to operate as if they were working out of your office. They answer calls in the name of your brand and strive to meet or exceed the service levels your customers have come to expect. 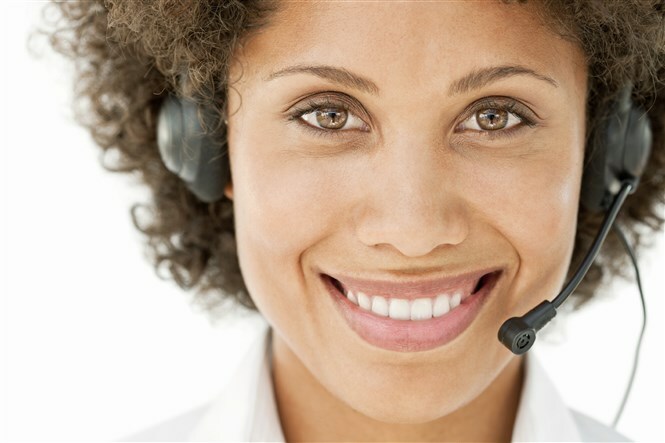 Establishing a customer service call center for your business is easier than you think. It’s as simple as working with our team to establish instructions for handling the calls expected on your account, training our agents, and then sending your calls to our facility. From there, whenever you need us, we’ll be available. Whether we’re providing backup support during busy periods, taking over for your office after hours, or providing 24 hour customer service, we can handle everything you send our way. .
Here’s a simple breakdown of what you can expect when establishing an inbound customer service partnership with Absent Answer. A caller dials your office or toll free phone number. This could be a customer with a routine question, an emergency support request, your staff checking in from the field, or any other type of call that your company receives. Without a telephone customer service department, your callers may be stuck with voicemail when you’re unavailable and long wait times when your busy. But with Absent Answer, our agents are always there to answer live, answering each call in the name of your business. There are established standards but no one-size-fits-all approach for delivering customer service, so our team is armed with your precise instructions and handles each call per your expectations. We can perform initial call screening and route the call to the appropriate department, complete trouble tickets in your system, use web based software, take messages, and more. Whether you’re a growing e-commerce business trying to organize inbound customer service requests for the first time, a multinational corporation in need of a single support channel after hours, or a small business trying to make a better impression and deliver A+ service, the professionals at Absent Answer are ready to make your ideal customer service department a reality.. Customer support outsourcing solutions from Absent Answer are as flexible and customizable as you need them be. Everything from the way we answer calls, the scripting and instructions we follow, the information we have access to, the actions we’re authorized to take, the systems we interact with, and more, can be tailored to your exact specifications. Need fixed coverage from the time your office closes to the time it reopens? We can help. Need a team of customer service representatives who know how to assist your customers with placing orders through your website or ordering system? We can lead the way. Want to ensure every call made to your business is answered professionally and reaches the right person? We’re always available to connect the dots. Below are just a few examples of the customer service scenarios we carry out for our customers. Don’t see your need on the list? Contact us today to discuss your situation and develop a custom solution for your business! Customer Service Outsourcing. Do you want to provide professional customer service without investing in training, software, office space, and staff? Absent Answer can deliver all of the above, working as your third party customer service department and impressing callers with excellent service day in and day out. We are routinely tasked with acting as the front line customer service team for businesses nationwide. After Hours Customer Service. Why send callers to voicemail or rely on an automated system after hours when you can deliver live agents who can respond in real-time? Thanks to our 24 hour call center availability, our clients never have to worry about losing touch with their customers. Your regular office staff can handle calls during business hours, then our call center can take over for the night until you return. Order Entry Support. The internet is great, but technology doesn’t always work, and some customers may feel more comfortable speaking to someone than placing an order over your website. If your business relies on processing orders, our call center staff can form your very own order entry department, standing by to answer routine questions, provide basic technical support, escalate issues to specialists on your staff, and place orders for your customers directly over the phone. Overflow Customer Service. Don’t leave callers hanging when your existing call center operation or office switchboard experiences a spike in phone calls. Our Overflow call center services ensure you always have backup available for inbound calls, at a fraction of what it would cost to maintain the same staffing levels in-house. With overflow call center support from Absent Answer, you never have to miss a call or leave a caller waiting on hold. When your phone lines are busy, excess calls overflow to our call center, where our agents answer in the name of your business and handle calls as an extension of your brand. Ready for a customer service company you can trust to take care of your customers? We are ready to help. Contact our account team today to discuss your customer service needs and learn more about our affordable pricing plans.